Pieces Of Missing Japanese F-35 Fighter Jet Found; Pilot Still Missing After Crash Japan's military reported on Tuesday that it lost an F-35 stealth jet off the coast of Japan, in the Pacific. Pieces of the plane have been located and a search for the pilot is ongoing. 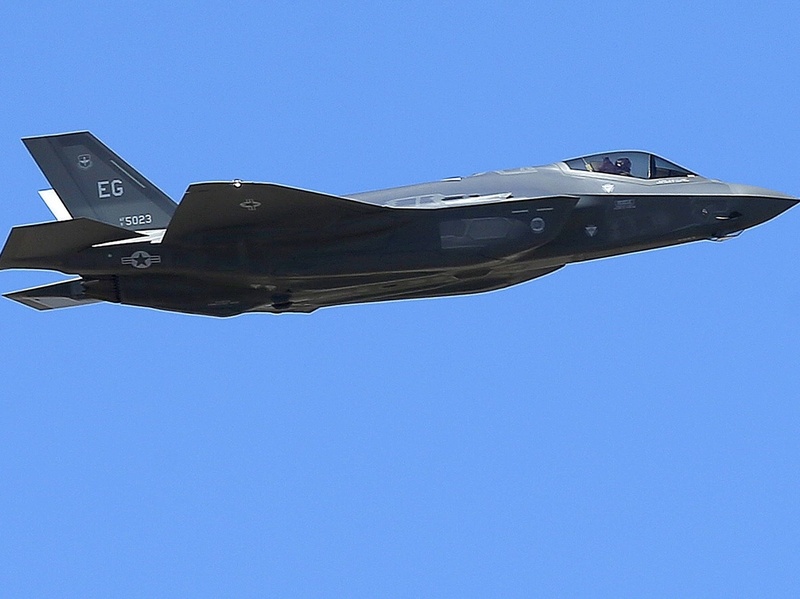 A U.S. Air Force F-35A Lightning II makes a flyby after an unveiling celebration in this 2014 photo. Japan's military reported on Tuesday that one of its F-35A jets crashed during a training mission. The Reuters news agency reports that the F-35 was less than a year old. It is made by Lockheed Martin, but the crashed plane is the first to be assembled in Japan by Mitsubishi Heavy Industries in Nagoya, Japan. The F-35 went into service, for the U.S. Marine Corps, in 2015. Two have now crashed in the years since. In a previous version of this report, we said the F-35 has been in service for nearly two decades. In fact, it went into service in 2015. Development of the fighter began a little more than two decades ago.